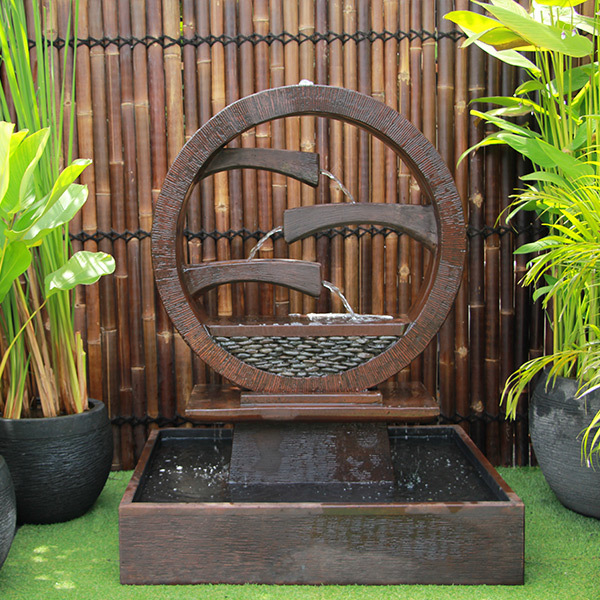 We recently purchased a large wagon wheel water feature from Mark at Waterfeaturesrus. Not only was this the cheapest price we could find Australia wide but the service and delivery were second to none. Mark was quick to answer all enquiries and the goods were delivered on time, well packaged and at an excellent rate. So impressed with this quality of feature and service – Thanks Mark for all your help. I love my medium eclipse water feature. I do appreciation what you have done for me and spirit in which you did it. You have the best water features’ I would recommend you to others if they want a water feature which we can’t get here. We purchased the large Eclipse from WaterfeaturesRus and were extremely happy.The price was the lowest we were able to find and the item was in stock.The feature arrived very securely packed and I was helped to move it into our backyard.We were extremely happy with the service , product and price and would have no hesitation in purchasing again from Mark and the team.